Of course we have had lovely weather here in Kidderminster for the whole weekend, with the rain not arriving until the early hours of Tuesday. Penny and Mr,Penny’s Place have had visitors as their daughter Claire, husband Chris, twins Ben and Josh – and dogs Alfie and Thomas came to stay. Ben and Josh thought the garden make over was fantastic and played on the climbing frame and in the sand pit – however the best thing was Penny’s (Granny’s) large tub of wellies. Children are required to have bare feet or wellies if they go in the sandpit – and Ben and Josh wanted to wear wellies – so out came the tub. The boys then spent ages finding pairs, trying wellies on, talking about sizes, ones they liked or didn’t like – and then they found a small pair of red wellies and were surprised when Granny told them that their Mummy had worn those wellies when she was a little girl (in fact so had all Mummy’s sisters). Penny was teased about this – ‘what only one pair of wellies for all four daughters?’ Well yes – times were hard and of course they did not all wear the wellies at the same time due to age difference. Rosie, (Penny’s and Mr.Penny’s Place youngest daughter) and her husband Chris popped round and of course the boys wanted to know if Aunty Rosie had worn the little red wellies. We spent most of the day in the garden – which did make things easier with the dogs – the two visiting ones and the three who live at Penny’s Place. On Sunday morning we went to the car boot and met eldest daughter Michelle and her youngest Selena there. Ben and Josh were a little overwhelmed as it was very busy. However they managed to find things they wanted to buy – and Ben smiled at people and was given a free car and a free pencil sharpener. 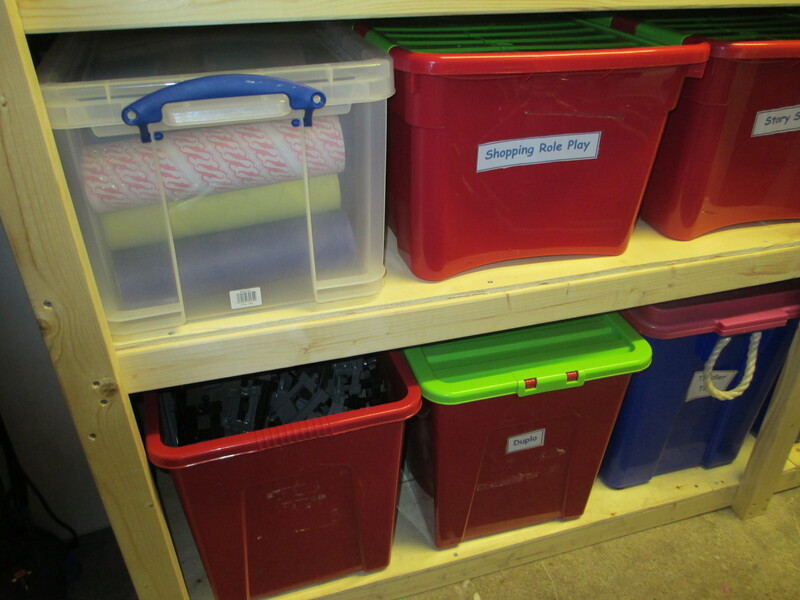 Josh was not so lucky – even though he preferred the broken toys – no one gave him anything. The visitors all then headed back to Cheshire – and Penny had an important commitment to keep. Scarlett (daughter Gillian’s middle child) is now walking well and so, as she has with all the grandchildren, Penny took Scarlett to the shoe shop to buy her first pair of fitted shoes. £32 later and Scarlett is now the proud owner of a beautiful pair of white shoes with sparkly bits and flowers. 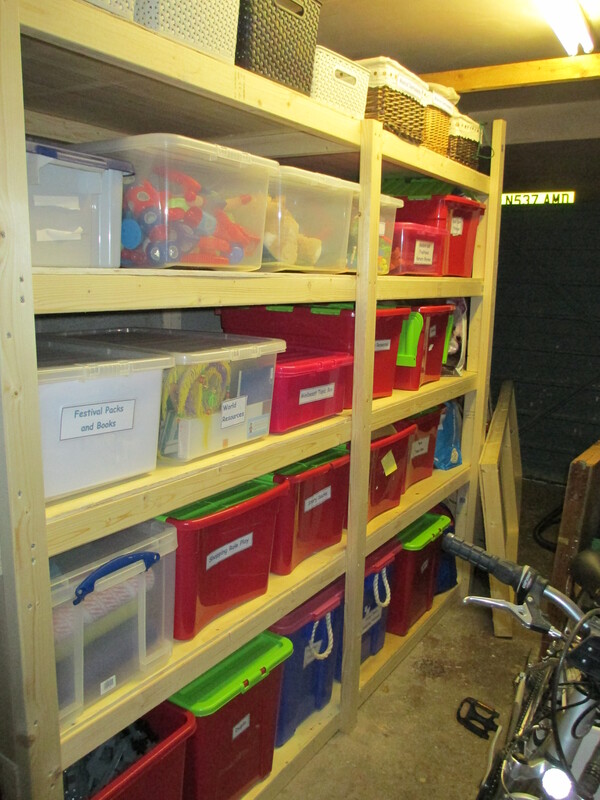 Then on Monday – Mr.Penny’s Place started on the task of making the shelves in the garage to store Penny’s resources. So Penny had the job of emptying the resources out of the garage, holding bits of wood while Mr.Penny’s Place fixed bits together, making cups of tea – and of course looking for the things that Mr.Penny’s Place had put down and forgotten where he had put them. 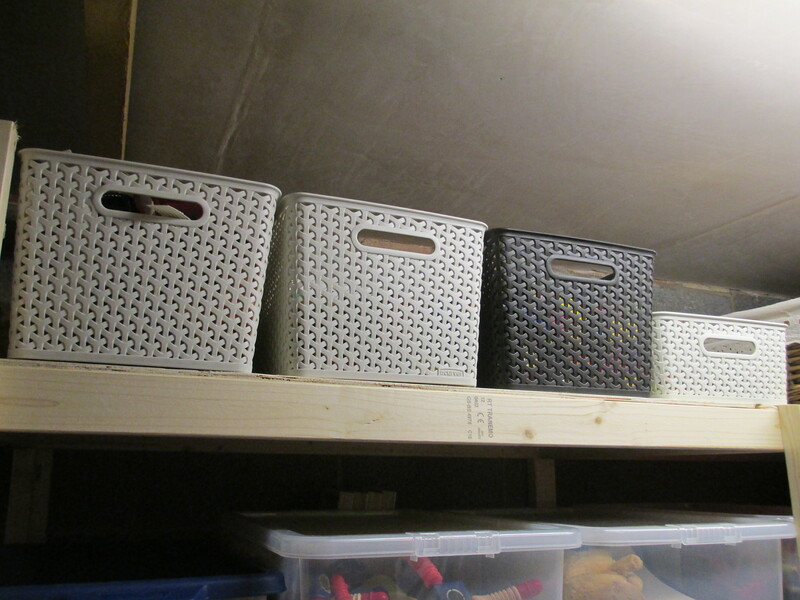 Now Penny is wondering when will Mr.Penny’s Place have time to build the shelves on the other side of garage? Mr Penny’s Place has a very important weekend of Motor sport photography planned this weekend, but if Mrs Penny’s Place is lucky ? 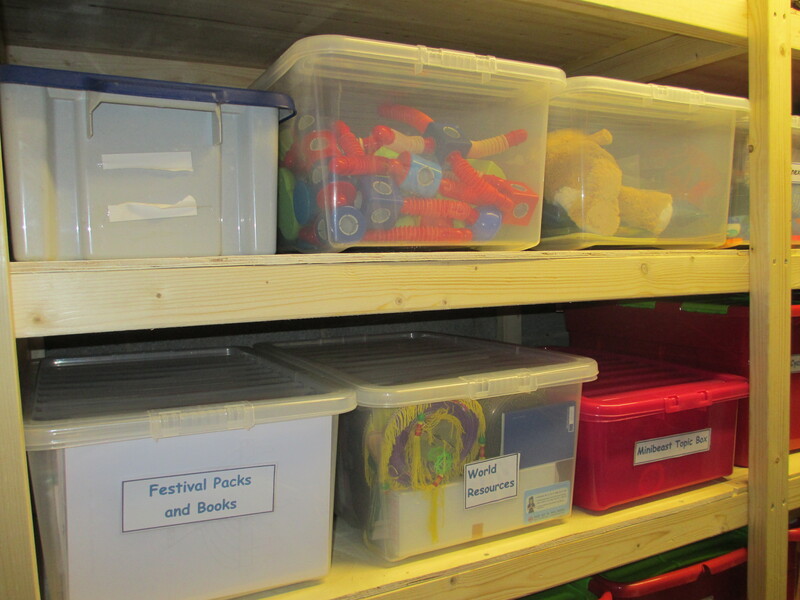 Might have to wait then till the following weekend – as Penny has an important picnic for Reclaim Early Years day. Excellent work Mr Penny’s Place! It looks lovely and must be a big help to Mrs Penny’s Place.